Former Spurs star Ryan Mason hopes that the Lilywhites sign Gareth Bale from Real Madrid this summer. The London club sold the Cardiff Express to Madrid in 2013 and he is now going through a tough time with many expecting that he is set to leave. And according to Mason, the Welshman can play anywhere and signing him would be a huge statement by the north Londoners. "Bale could play anywhere, but I think for Tottenham it would be a huge statement signing, improve their front line and in wide positions. "Why not make him that marquee signing as they move into that new stadium? "The type of mentality he has, he'll be thinking: 'Where can I go and impact things and win things?' He'll want to go and make the rest of his career as successful as possible." Real Madrid superstar Gareth Bale apparently has an agreement to join Manchester United next summer. According to reports in Spain, he has already bought a house in Manchester and has agreed upon personal terms with the Red Devils. While the Red Devils are willing to pay €80 million, the Galacticos want at least €120 million. Gareth Bale isn’t happy with the Merengues’ demands is trying to force Perez to accept the offer. James Rodriguez was expected to move back to Real Madrid this summer but he has had a change of plans according to reports. The Colombian has been informed on the potential arrival of Zinedine Zidane and if that is the case, he will look to move to the Premier League where he has interest from Liverpool and Arsenal. 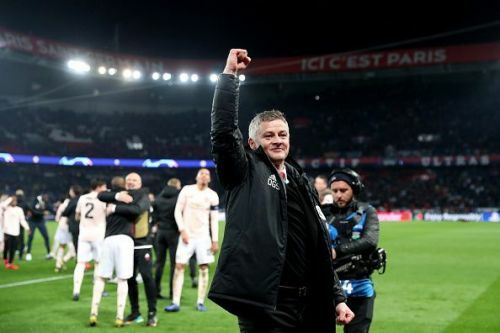 Manchester United manager Ole Gunnar Solskjaer has stated that Manchester United need to sign players who could provide their services to the Red Devils for a very long time to come. "As far as you need to look," Solskjaer said. "Pre-season we’ve looked into. But also you look at players and hopefully the ones the club will sign will stay for many, many years, so it depends on how you look at that."